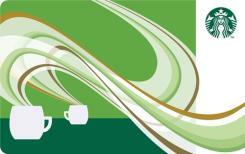 Starbucks' mission is to inspire and nurture the human spirit – one person, one cup and one neighbourhood at a time. A Starbucks eGift Card is the quickest way to make someone feel special. The perfect present for birthdays, thank yous, or any occasion. Everyone likes to receive Starbucks.The Starbucks Egift card is a wonderful way the recipient to enjoy anything they want at Starbucks be it their coffee, delicious food or a moment for themselves.